Each and every bill can be shown freely and cleanly on both sides. 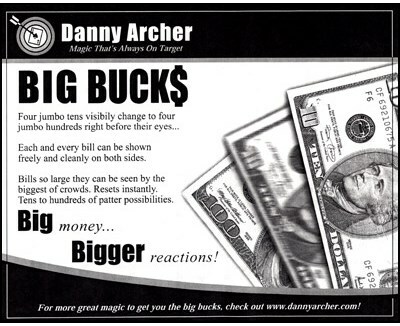 Bills so large they can be seen by the biggest of crowds. Resets instantly. Tens to hundreds of patter possibilities.